Mix mix of high and low, new vs old is what gives a space that lived in feel. When there are only new items an interior can feel like it's lacking personality or purpose. You certainly don't have to sacrifice style or durability if you want to incorporate vintage styles though, you might be surprised with how many new pieces that are currently being produced were actually designed decades ago. 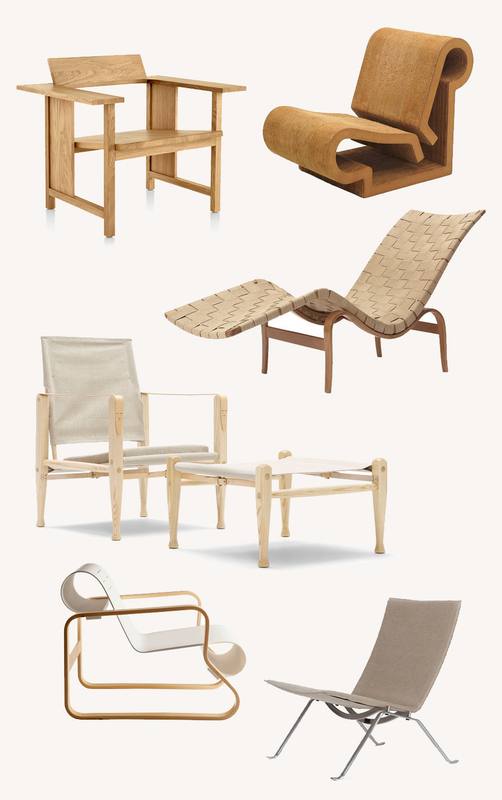 Here is a collection I put together of new and old lounge chairs, mostly Scandinavian designs, that were first created long ago yet still feel as current and modern as when they were first conceived. I love the simple chairs! I have such outlandish style that subtle pieces are always nice to balance my house! I love these minimalist accent chairs! I love the sleek design of these chairs! Although they are minimal, they really are eye-catching.